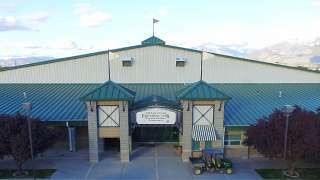 The Equestrian Park and Event Center hosts local, regional and national equestrian events and shows. The Park is also a great place for trade shows, specialty markets, concerts and even meetings. Our skilled staff will help you plan your next event. The Salt Lake County Equestrian Park looks forward to hosting your events. The following information will help answer any questions you may have as you plan your event. Here you&apos;ll find a list of all of the facilities at the Park, including the areas where you can ride, plus a list of rental options for special events and meetings. Get all the details you need about Facility Specifications and Technical Specifications to see if the Equestrian Center will meet your needs. You&apos;ll also find the Equipment List so you&apos;ll know what is available for your event. Here you will find all the General Rules & Regulations that need to be followed for your event along with specific Fire Safety Rules & Regulations. Other requirements and guidelines available for your information include the Insurance Requirement and Recommended Security Guidelines. Get an idea of how much use of the Equestrian Park costs with the Event Rate Sheet. You can also see a sample Equestrian Park Event Contract.